Still under the name of “Pier Six Pavilion” and still one of the most beautiful in the United States for an outdoor live entertainment, this pavilion is now run and led by a team of top professionals in the broadcasting, entertainment, food/beverage and development industries. Stay overnight in the BWI or Arundel Mills area by going to www.TheHotelsAtBWI.com. With the focus of bringing new life to the Inner Harbor of Baltimore, the Pier Six Pavilion will unveil a new experience during the transformation over the next several years. 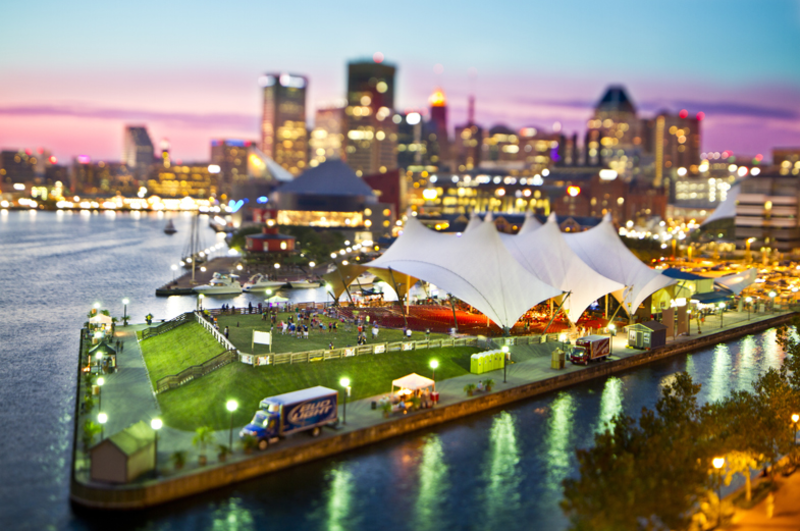 The setting for the Pavilion is located on Pier Six, providing panoramic views of Baltimore’s world famous Inner Harbor. 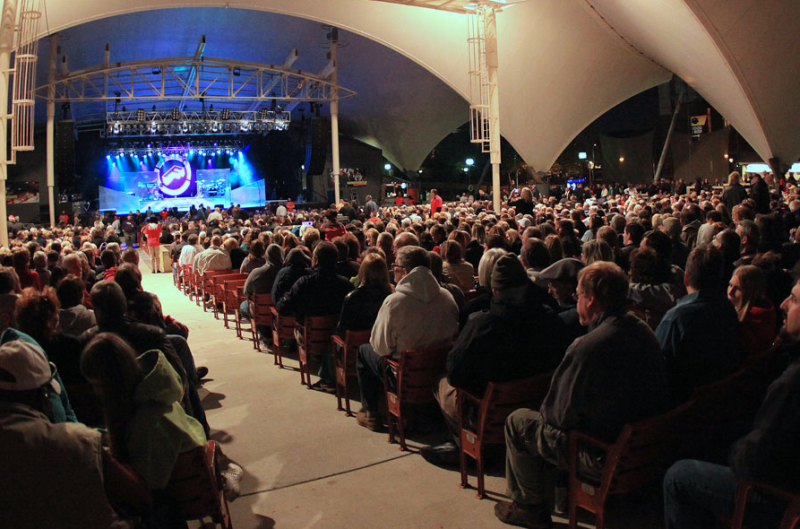 Since it’s inception in 1981, the Pavilion has played host to some of the biggest names in the entertainment business, from rock to jazz and from R & B to classical. The Pavilion is within walking distance to more then 4,000 hotel rooms and dozens of museums and attractions clustered around the Inner Harbor; such as, The Harbor Place, the National Aquarium, Maryland Science Center, Power Plant and Power Plant Live, and Harbor East. 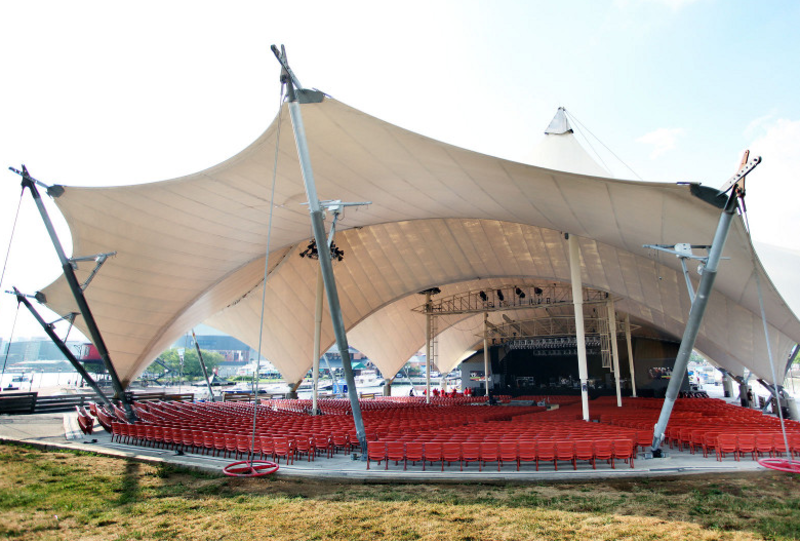 The Pier Six Pavilion sets it’s unique appearance with a tensile-roofed structure. The current facility, designed by FTL Associates (which specializes in tensile structures), was built in 1991 for $4.9 million, replacing a smaller pavilion built in 1981. Built on a concrete base, the existing pavilion has six masts that rise 70 feet; side openings are 30 feet high. The Tefl on-covered nylon roof is held down by cables. The backstage facility includes dressing rooms, a green room, production office and a catering room, newly renovated with full amenities. The structure also contains ticket windows, restrooms, designated merchandise store and concession areas for patrons, two storage rooms off stage, and a loading dock.